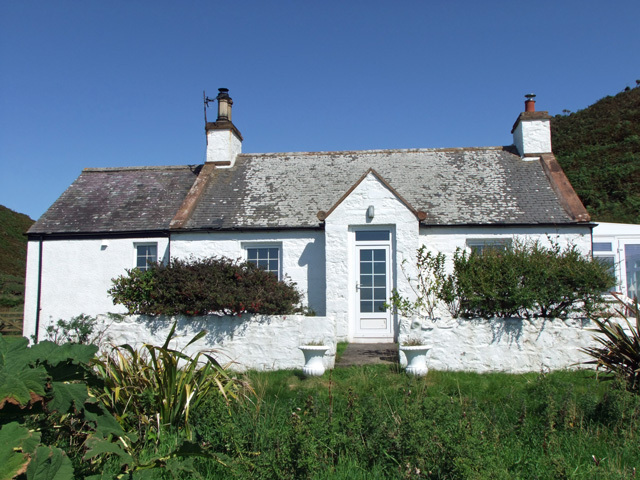 Shore Cottage is a lovely property located on the coast just a short distance from the small village of Leswalt near Stranraer in the Rhins of Galloway. 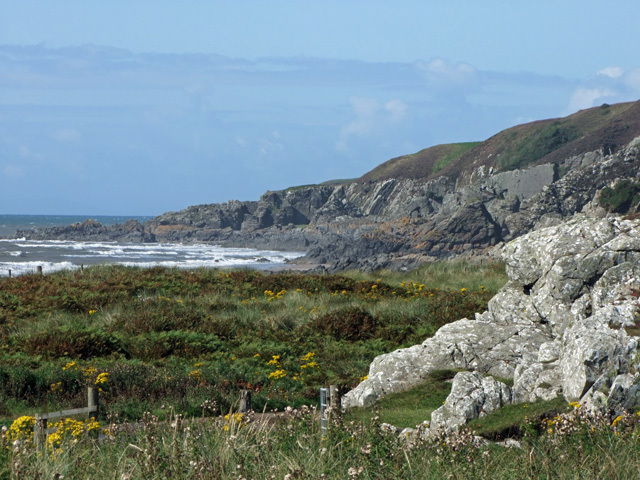 This traditional property has an enviable position and benefits from having an enclosed two acre rugged garden and direct access to the sandy beach. 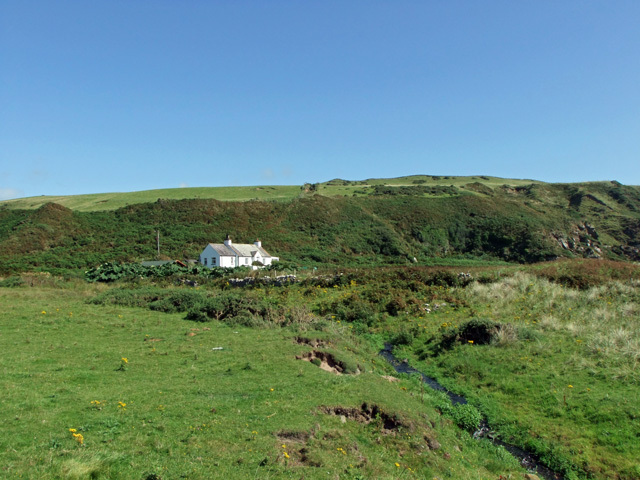 The property is remote and would suit those guests wanting to sit and relax, and enjoy some quiet time enjoying the views of the sea and across to Ireland, and perhaps long walks along the beach. Due to the location of the property a 4 x 4 type vehicle is highly recommended to obtain access. 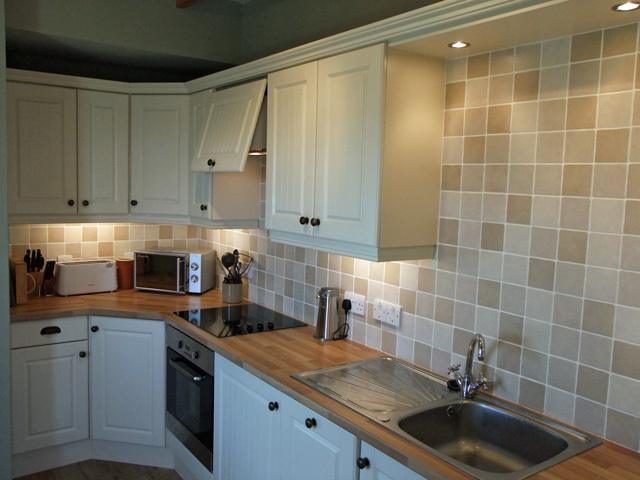 The property is situated all on the one level, and consists of a lounge with an open fire, kitchen, bathroom, two bedrooms, a double and a twin, and a conservatory with a wood burning stove. 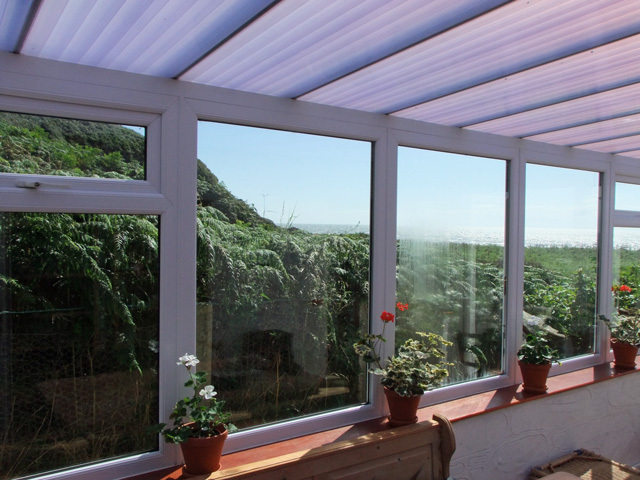 The conservatory offers direct access to a small decked area with steps down to the garden area. Garden furniture is available for the use of guests and is an ideal spot on a dry day to enjoy a barbeque. 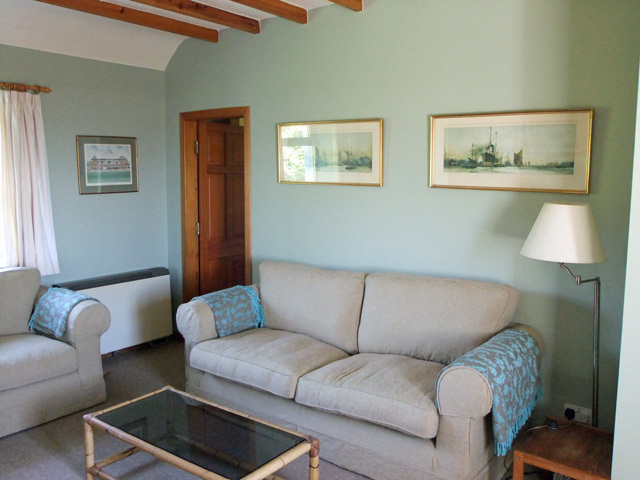 The property is well equipped and has been tastefully decorated and furnished throughout. 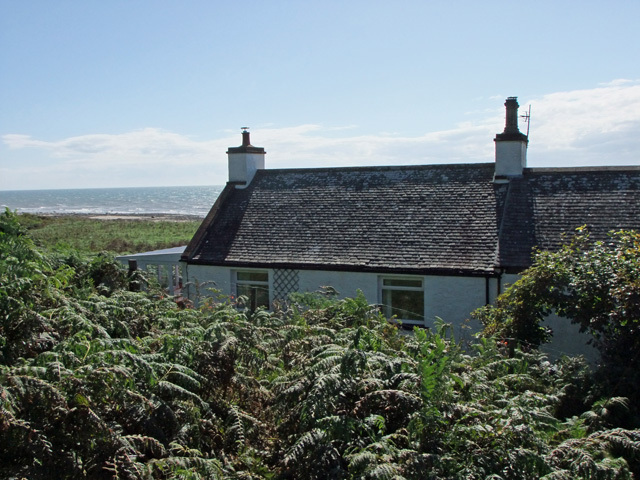 The property is a short drive from the picturesque fishing village of Portpatrick and the largest town in the area Stranraer, which offers the usual facilities. Further along the coast you will find the P & O and Stenna terminals, both offer good connections to Belfast and Larne in Northern Ireland. Portpatrick is a pretty village centered around the harbour and has a small selection of shops and cafes, and a pottery situated at the lighthouse. For the walker the Southern Upland Way starts here, this 212 mile coast to coast route stretches from Portpatrick in the west to Cocksburnspath in the east. An ideal taster would be the 13.5 route from here to Castle Kennedy near Stranraer. 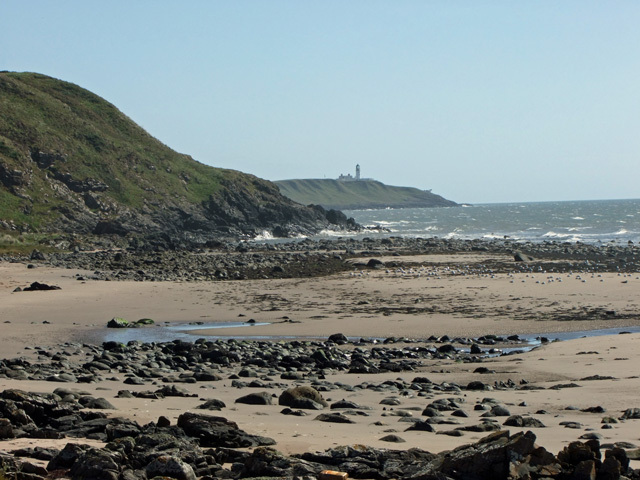 The Rhins of Galloway stretches twenty miles from north to south, and is home to various small villages and attractions, worthy of a mention are the Stranraer Museum, the Logan Botanic Garden, and the most southerly point in Scotland, the Mull of Galloway with it’s spectacular lighthouse and visitor centre, and the RSPB Nature Reserve. 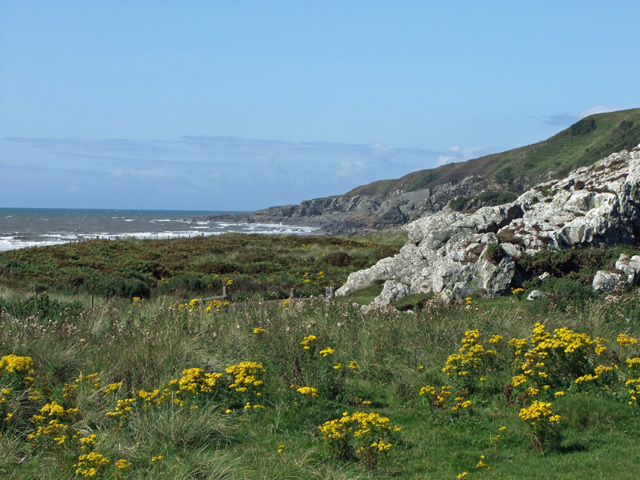 For the keen fly fisher, Dunskey Estate has two trout lochs not far from Portpatrick, and for the golfer there are good courses in Portpatrick and Stranraer. 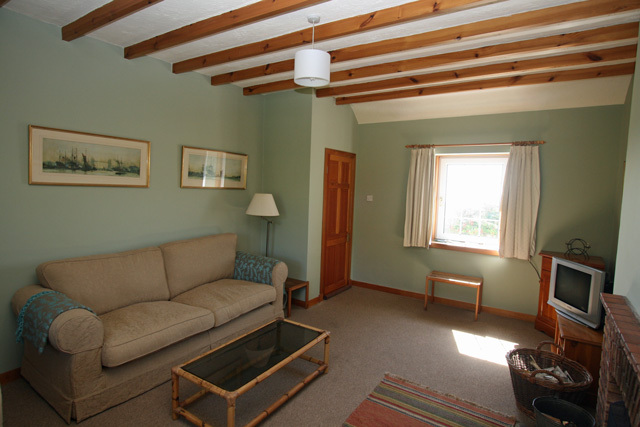 Riding and trekking can also be found at Lochnaw Home Farm. Further afield the small town of Wigtown, often referred to as “Scotland’s National Book Town” can be found, a mecca for second hand books and also home to Bladnoch, the most southerly distillery in Scotland. Throughout the region guests will find various traditional pubs, cafes and restaurants, ideal for a quick lunch or evening meal. For the fish lover Campbells Restaurant situated on the seafront in Portpatrick is a must, the restaurant uses the best of the locally sourced ingredients including the best of the days catch and always comes highly recommended. 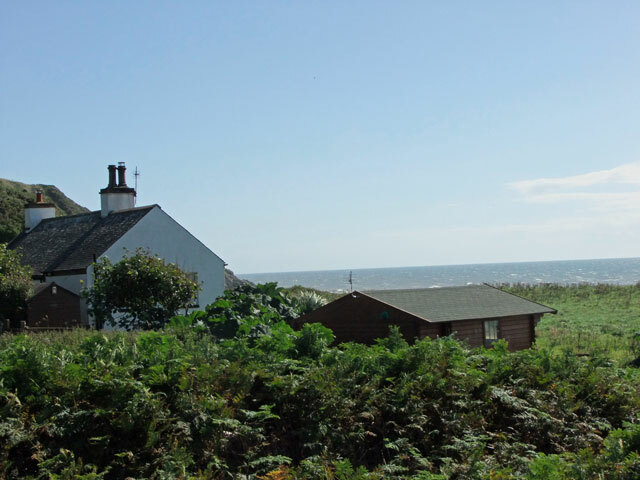 If you are looking for a property in this area and Shore Cottage is booked, Beach Lodge is situated in the vicinity and also is pet friendly, we also now have Stable Cottage which is located closeby. Cosy lounge with open fire, comfortable sofas. TV, DVD, CD Player and Radio. Windows overlooking the garden to the front and rear. Kitchen, fridge, freezer, microwave, and all the usual kitchen equipment. Small dining table. Washing machine, ironing facilities and indoor drying facilities. The window overlooks the garden. 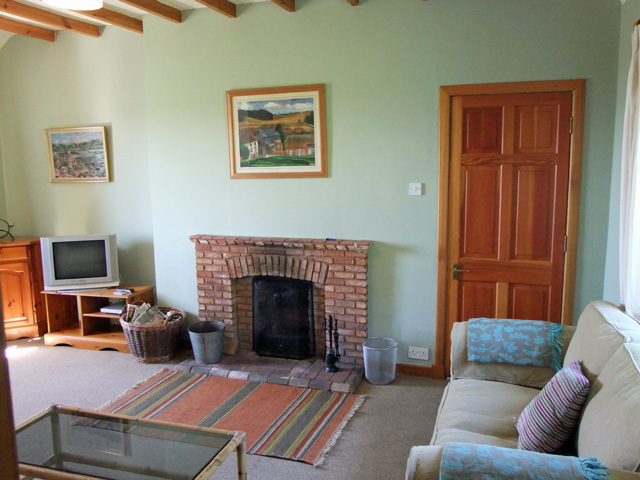 Conservatory with dining facilities, wood burning stove, direct access to raised decking area with steps down to garden. 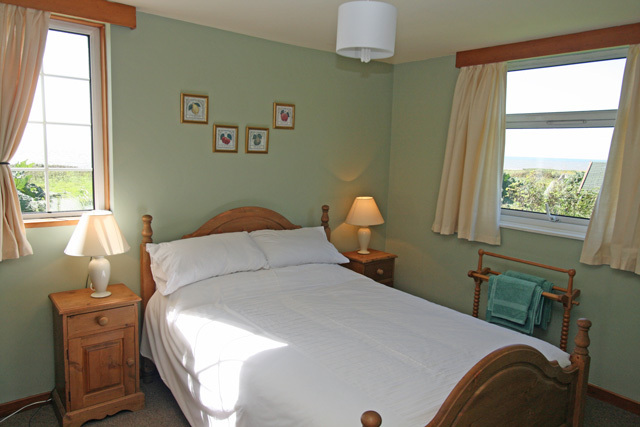 Double bedroom with a view over the garden and the sea. Twin bedroom off the lounge with views to the rear of the property. Bathroom with bath and shower over, whb, wc. Enclosed garden with decking and furniture. Access to beach from garden. Electricity, electric heating and initial fuel for the fire and wood burner. Two pets are welcome at the property. We have been advised that the garden is enclosed, however due to the nature of the garden which is wild and large, this cannot be guaranteed. I don't want to leave a review for Shore Cottage because if I do, everyone will want to stay there and it won't be free for me to return!!! This was our second visit to Shore Cottage and yet again lived up to our expectations. 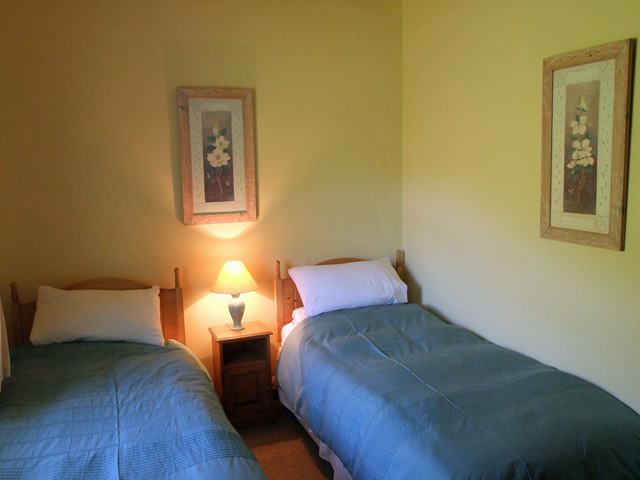 Very peaceful and relaxing, Cottage has everything you need. This time we took a bucket and spade to relive our childhoods by building sandcastles on the beach- lots of fun. Enjoyed early morning walks and exploring the area. Table in conservatory is great for completing jigsaws. We take a new one with us where ever we go. We were visited daily by robins and lots of different birds and even the odd cow came to visit and poked his head over the fence. 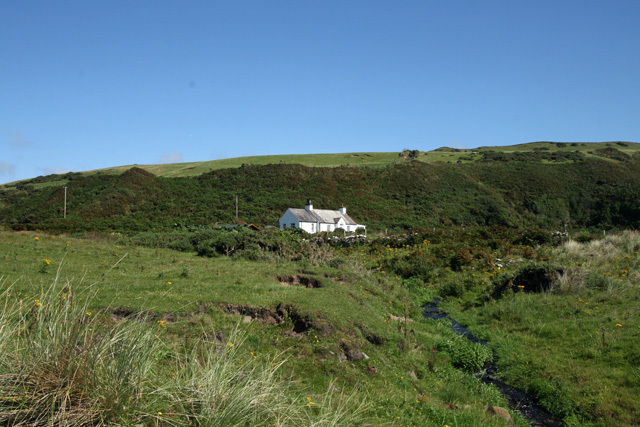 A comfortable and well furnished cottage that is very close to the shore - down the path in the "garden" about 40 yards and through the gate. 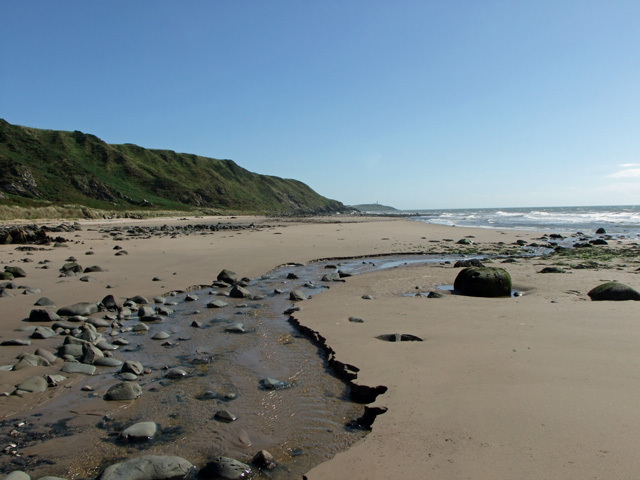 The beach is excellent - sandy and with rocks and it extends northwards almost a mile and southwards you can pass the point and reach Killingtringan beach at low tide with a bit of rock climbing. We had a bit of difficulty finding track down to cottage on arrival - our Sat Nav wanted to send us to Little Larbrax not Meikle Larbrax so it's best to rely on directions that are given. The conservatory with stove was most useful - logs from Solo garage in Stranraer. It was one of the best cottages we have visited anywhere in Scotland. 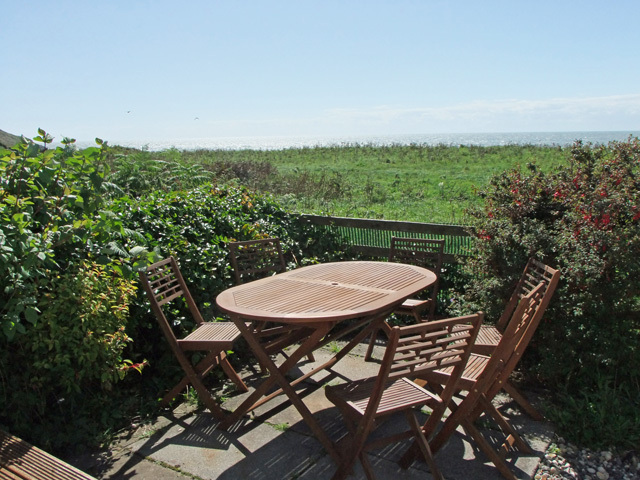 We had a very relaxing break at shore cottage with our two labradors, cottage was very warm and homely and the beach at the end of the garden was fabulous. The only negatives were that the tv was very old and that the bathroom is in need of upgrading but that would not stop us from returning! Oh and the bush that obscures the view on the decking needs to go! We had a fabulous stay at Shore Cottage. It has an amazing location the garden and beach were perfect for our Staffy. The cottage was lovely and warm on arrival and very clean. We loved the conservatory with the log burner although the weather was exceptional and we even sat out on the decking and read in the sunshine! We have stayed in three Wilderness cottages so far and have never been disappointed, but I think this is our favourite. A big bonus was the lovely clean beach. Many thanks to whoever has cleaned it because we have stayed nearby before and the beach was littered with rubbish but this time it was lovely. Had a great time many thanks. We had the most wonderful time at Shore Cottage, the property is very well equipped and has excellent access to the beach. Our three dogs had a fantastic time running on the beach and thoroughly enjoyed the heat from the wood burner in the conservatory at the end of the day. A most relaxing holiday and we can't wait to return, we've already booked again for next year. Following our stay at Shore Cottage in May we came back for a second helping in October. Again very lucky with the weather, we had a very relaxing week. Another lovely holiday for us and Ozzy, who was delighted to be reunited with his sofa! Many thanks. 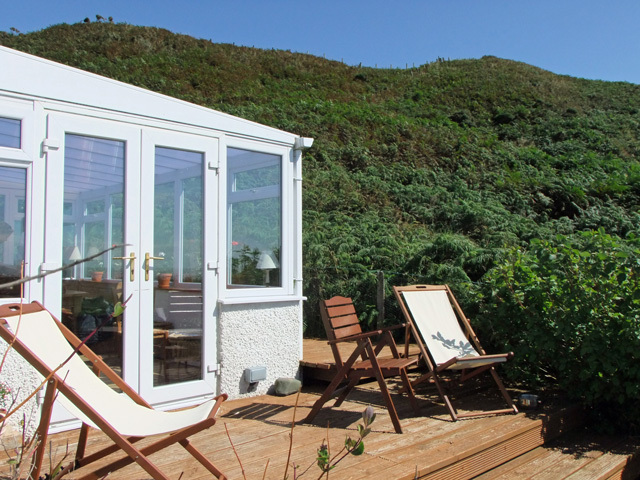 Shore cottage provided a real "away from it all" holiday. The situation is fantastic and the cottage is lovely and very comfortable. Our 16 mth old black lab Ozzy especially enjoyed the beach and the garden - he was in doggie heaven! Glad we had a 4 by 4 for the last part of the journey as the road was a bit scary. However we only ventured into the outside world once during the week and were quite happy about that! A fabulous, relaxing holiday.